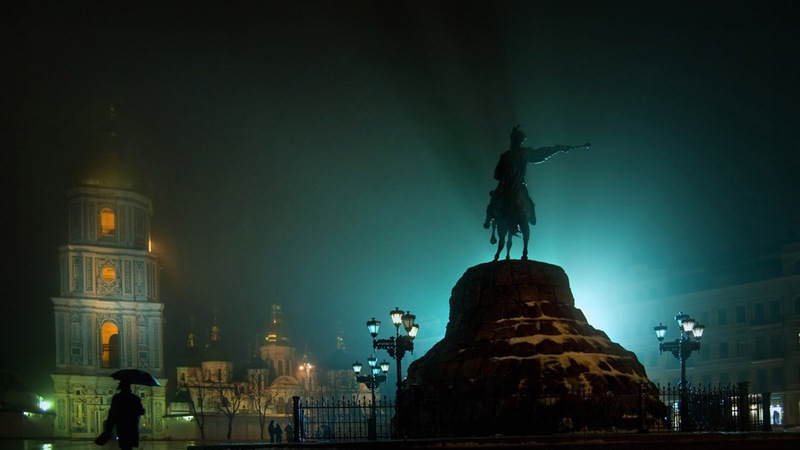 According to one song it is impressive to imagine the monument to Vladimir without a cross in his hand. It is true that nobody including Soviet authorities have ever succeeded in taking away his cross from the monument on Vladimir’s hill. This cross was lit up with electrical bulbs more than a hundred years ago. 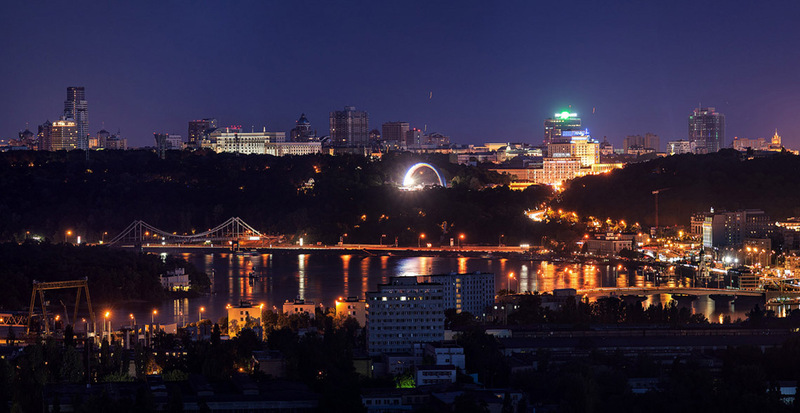 Now many sights of Kiev are illuminated in the evening hours, and we offer You to enjoy the city of Kiev by Night. 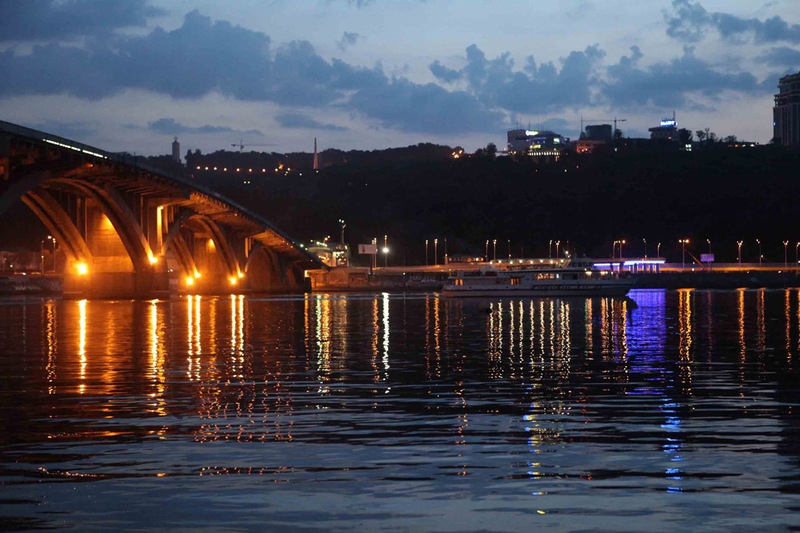 2 hours tour begin at 09:00pm with meeting your guide and he show you the beautiful Kiev by Night. You can choose the walking tour by Down Town or get more experience take a tour by car. 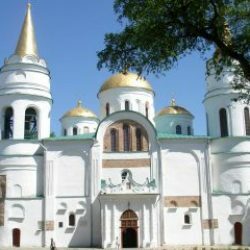 Our tour will bring You across the river Dnieper and along it for you to enjoy the panoramic view of the Lavra Monastery with its multitude of demes plated with 20 kilograms of gold and 102-meters tall Iron Lady Memorial – Museum of WWII faced with its stainless steel and titanium shell (over 100t of metal used). 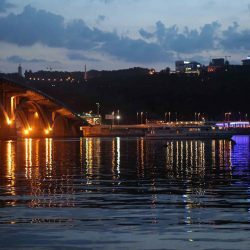 You will see Paton bridge (1.5 km along), subway and pedestrian bridges connecting central Park to Hydropark and Trukhanov islands. 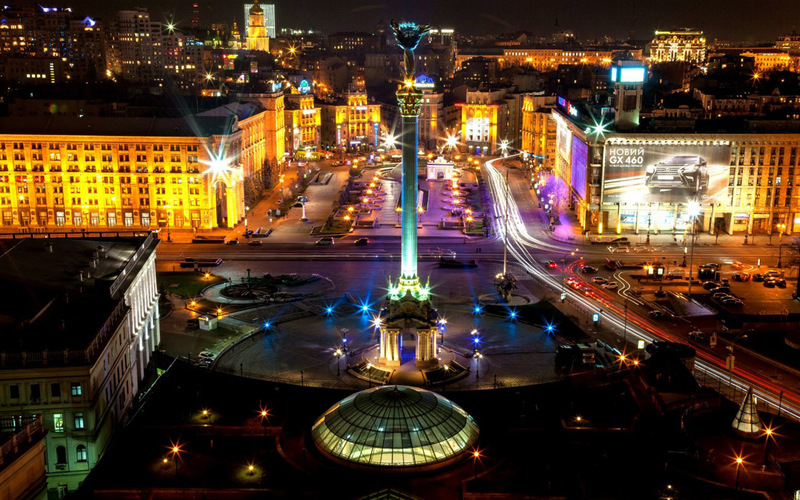 You will drive along old colorful streets of Podol and visit Independent Square – Maydan Nezalezhnosti with its monuments and concert halls (former school of the daughters of nobility and Peter Chaikovsky’s Centre) – all these structures and buildings are nicely lit up in the evening. Same it true about Khreschatyk – the main street of Kiev with its City Hall and old Bessarabian farmer’s market. Finally, we’ll bring You to the revolutionary red-color Taras Shevchenko State University building (1842y. architect Beretti), Opera and Ballet House, churches of old upper Kiev – byzantine St. Sophia’s Cathedral, St. Michaels Golden Domed and St. Andrew’s Church. My tour guide Helena was an excellent guide and I was very impressed. 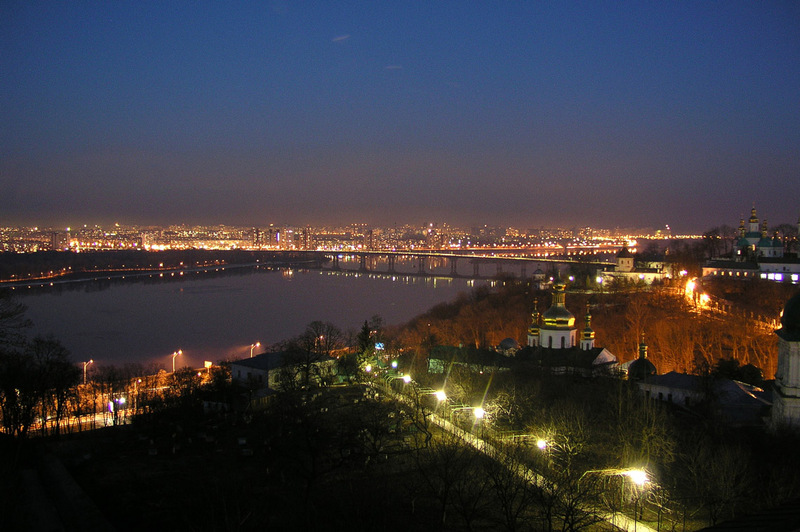 She is very knowledgeable about the city of Kiev and I had a great conversations with Helena. 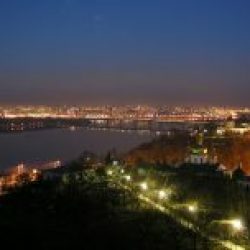 I would highly recommend taking this tour of the beautiful city of Kiev at night, its spectacular. 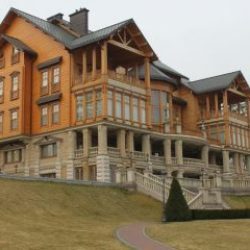 I met my guide at my hotel, the guide was aware that I’d been on a day time tour of Kiev and was keen to avoid places I’d seen earlier in the day. We walked and talked. I was shown places I hadn’t seen earlier. 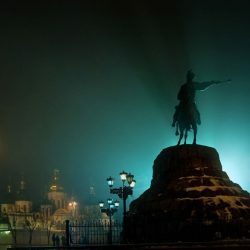 Kiev was something to see at night. The Arch, looking down on the bridge – all lit up. It started to rain and turned into heavy rain at one point. None of this mattered to me as I was in the company of a truly fascinating lady. The night tour is a must do if you’re looking for an evening activity, and if you’re lucky enough to have the same guide as me, you’re in for at memorable 2 hours. 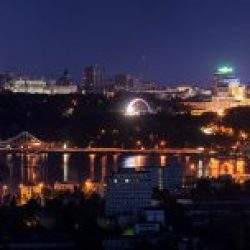 Delightful city ,lots of art ,and churches ,good restaurants and food with reasonable prices. 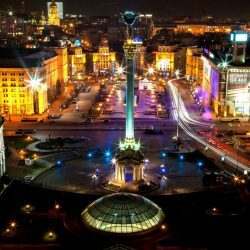 The tour is nice for introducing the Kiev city center. However, it is not realized as it was described since there was no pass over the Paton bridge and view of the II WW monument. 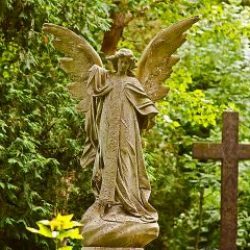 The way it was realized is very similar to the one named as City Walking tour since more-or-less the same places were visited. Luckily, the tourist guides had different approach so we heard complementary information.